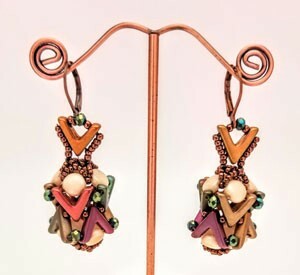 Lisa Krupp-Dooley is a self-taught jewelry designer and hobbyist who began beading in high school and has continued to enjoy beading for over 20 years. In 2016, she entered her first on-line original design competition with Potomac Bead Company. The entered design was a necklace named Dazzling Duos and placed 14th out of the 50 entries. In 2017, she participated again in the Potomac Bead Company Design Challenge, entering her original necklace design entitled Ava’s Planet. This piece did even better than the previous one, taking 5th place out of 100 participants. Later that same year (in 2017), she was asked to co-design a necklace with Maggie Thompson, owner of Maggie T Designs. Maggie designed a kumihimo lariat necklace using the Ava’s Planet beaded bead as the focal beads. 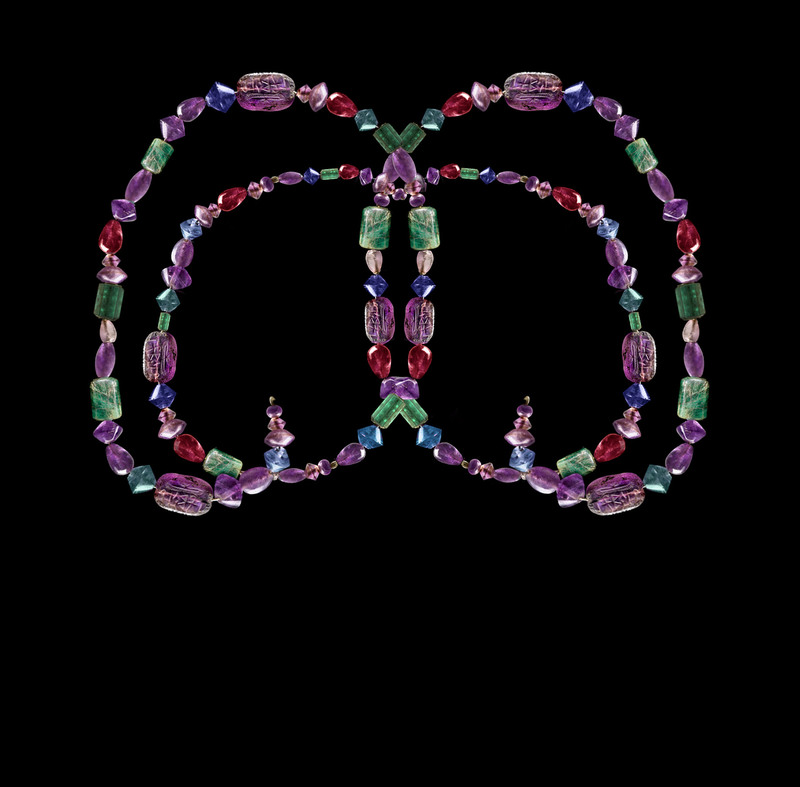 The collaborated necklace was published in Maggie’s third E-Book, 10 Kumihimo Patterns to Braid: Kumihimo Bracelet & Necklace Patterns with Shaped Beads. After being published, Lisa’s fun ‘hobby’ is fast becoming a business called Lisa D Beaded Beads. The Ava’s Planet earrings uses Ava® beads as an architectural element to create these self-supportive beaded beads. The added crystals and DiscDuos® add sparkle and dimension to theses one-of-a-kind earrings. Skill Level: This class is for an intermediate level student who will learn how to use tension and multi-hole beads to recreate this design.